Addis baba (HAN) May 17, 2014. Updated Regional Dam issues: The fastest growing and most Profitable African Airline, Ethiopian Airlines is pleased to announce that its executive management and employees visited the Grand Renaissance Dam site, to empower Ethiopian vision and strategy. The visit organized under the theme “we will complete what we have began” is planned with view to create awareness about this critical national and continental project and to show Ethiopian management and employees unwavering commitment to support the project, financially and in any other way, until its full completion. “The Grand Renaissance Dam is the biggest infrastructure project in Africa. It is a special pride for not just Ethiopians but for the entire Africans. It is a testament to the will of the Ethiopian people to eradicate poverty through hard work and perseverance. 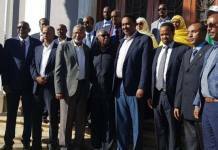 It also clearly shows to those who had any doubts that the 21st century will be an Ethiopian and African century. As Ethiopian Airlines and personally as a citizen, it is a special privilege and honor to visit this historical and trans-formative project. It is our duty to continue to support both collectively and individually this critical project for the development of our country and the region until its full completion. 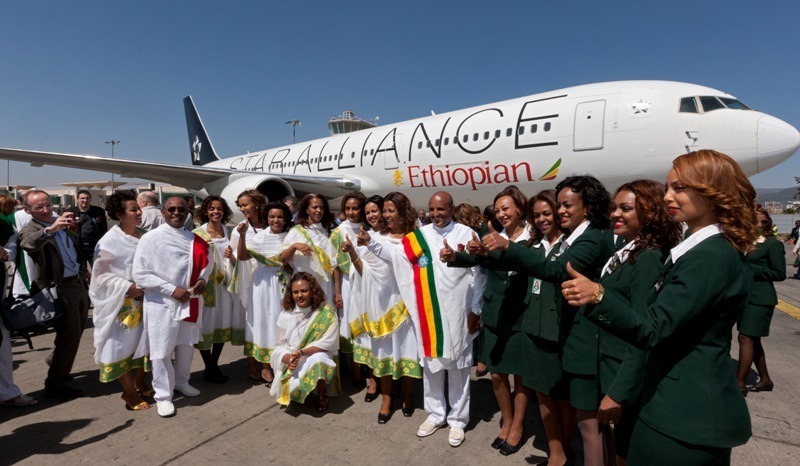 We at Ethiopian Airlines pledge to continue to provide all our support to this project until it is fully completed.”, said CEO Tewolde Gebremariam of Ethiopian Airlines Group. The Grand Renaissance Dam, when completed, will help the country in attaining 10,000 mega watts electricity generation capacity as per the country’s 5 year Growth and Transformation Plan. This will support the country’s and the region’s robust economic growth by serving as a critically essential energy source.